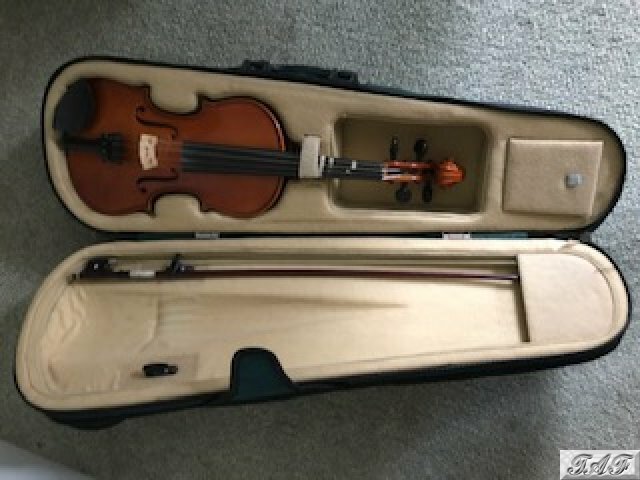 Prima 200 Half Size Violin suitable for a student of around eight to ten years. It has been reconditioned so is in excellent condition. Comes with its original bow, a shoulder rest and a tin of rosin, all in its own carry case. 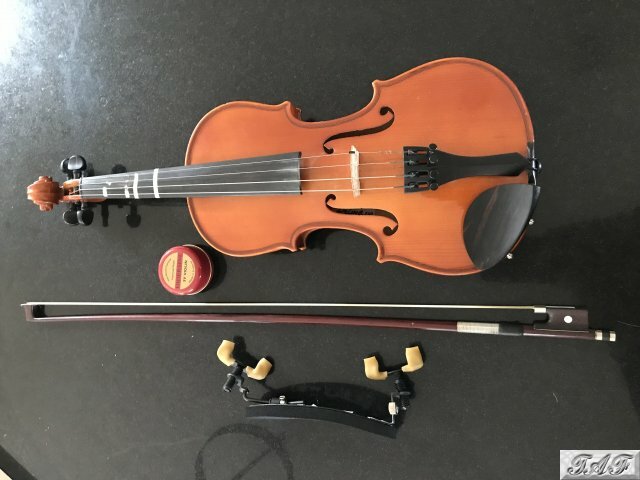 Violin and bow condition are 10/10 but have listed it as 9/10 because the case has had to be repaired and there are still some finger placement stickers on the neck of the violin, although these could be useful to a new student. Make an instant payment for the full price (£55.00 plus £15.00 postage) directly to the seller's PayPal account. Make an offer based on the advertised price (£55.00). If your offer is accepted you will be sent an invoice by email and will need to make payment by PayPal.